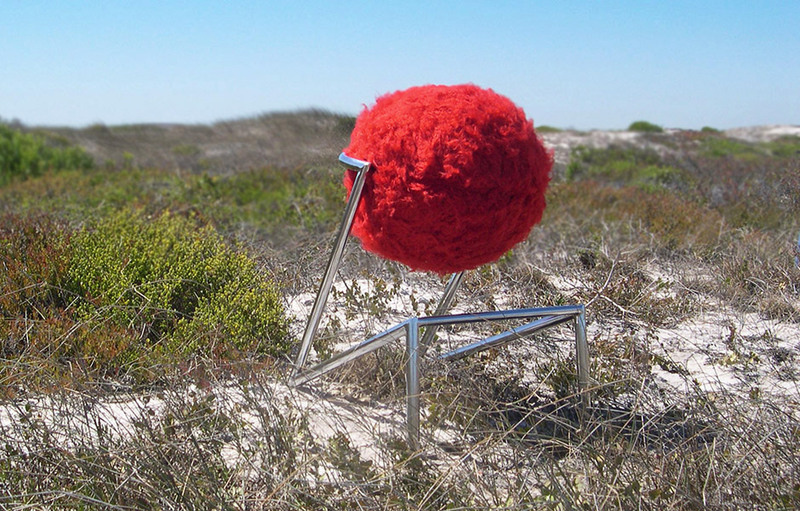 The concept of the Ostrich Barstool was inspired by the comic and bewildering experience of riding an ostrich. The stool is formed from a round upholstered seat perched on elegantly shaped steel legs. 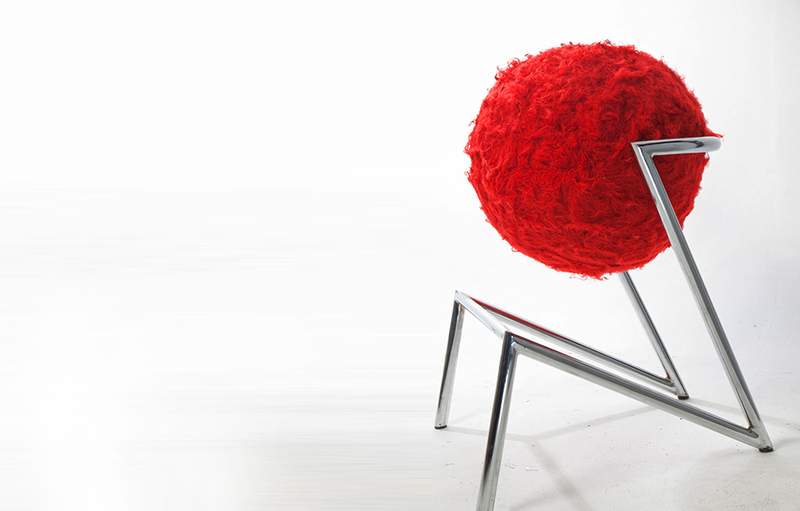 The stool’s dimensions are based on the ostrich’s body-to-leg ratio. The soft and buoyant seat is made up of circular foam discs and cotton stuffing, upholstered with a removable wool cover. The chromed steel legs taper and bend to capture the spring-like movement of the ostrich. The contrast of the round fluffy seat, supported by smooth and slender legs further enhances the design’s animated nature. 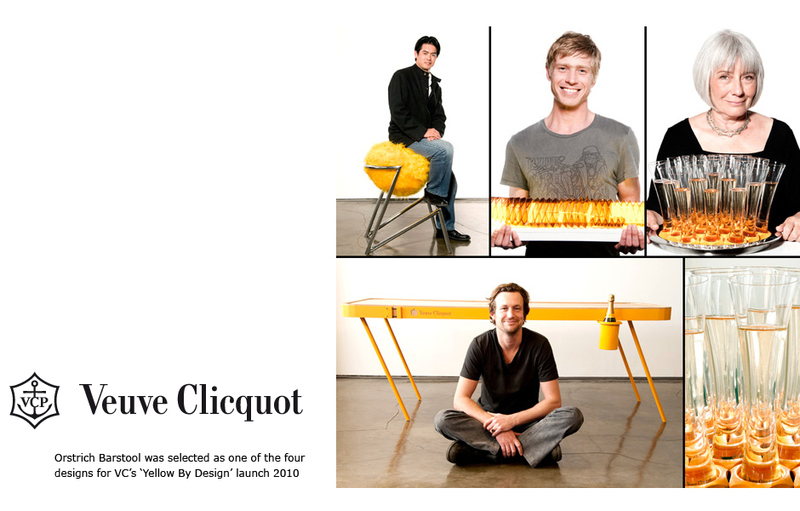 The initial prototype was sponsored by Veuve Clicquot, working in collaboration with Ronel Jordaan, a renowned South African textile designer. 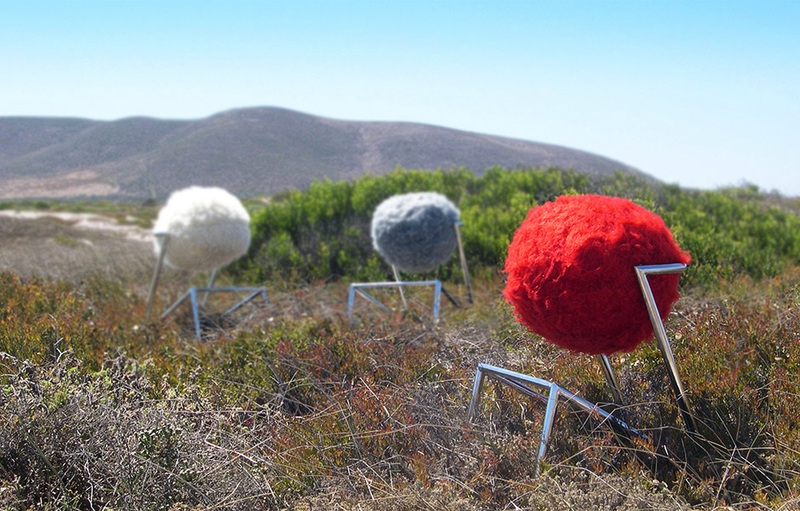 It was nominated for The Most Beautiful Object in South Africa award at Design Indaba 2010. We had previously received the same award for our Nested Bunk Beds in 2008.